What is it like when Aphex Twin plays your music? The Lab NYC is Mixmag's weekly live stream and post-work unwind, powered by Void Acoustics, where we showcase the finest DJs direct from our Brooklyn office. This Friday, February 8, French artists DJ W!LD storms through showcasing his stripped back house sound. Since emerging with releases on Robsoul, OFF Recordings, Roush and his own W imprint, DJ W!LD has become synonymous with gripping and pacy underground dance music. His rise to prominence has been no overnight phenomenon either, initially as a cult favourite of the Paris underground scene to now a globally recognized artist and influencer. He's toured the world over, gigging in hallowed locations like Panorama Bar, fabric, Amnésia or events such as Circoloco and Cocoon. He's also released on some of the most respected imprints, including REKIDS offshoot Cabin Fever, One Records, Ricardo Villalobos and Luciano’s RAL series and 2020 Vision. 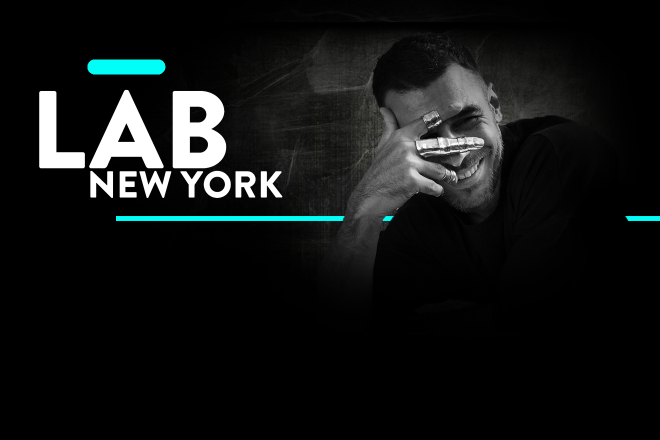 Now as he makes his debut in The Lab NYC, he'll delivering a captivating set featuring his signature style. Watch DJ W!LD LIVE in The Lab NYC on Friday February 8 at 7:00PM EST. Rewatch DJ W!LD's Lab NYC set on Mixmag TV and Facebook on Monday February 11 at 2:00PM EST.